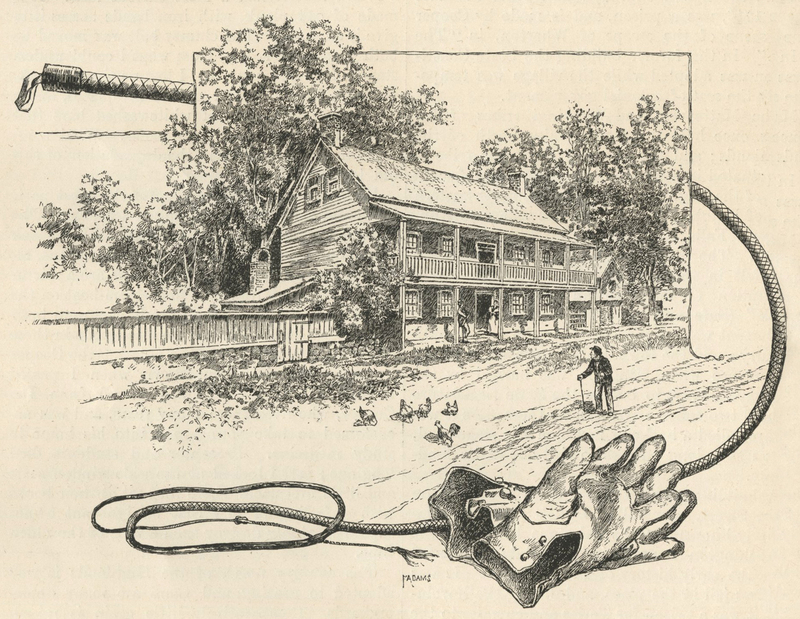 Illustrated title of C. Hills Warren’s article. In January, 1890, Frank Leslie’s Popular Monthly published an article by C. Hills Warren that looked back nostalgically at the history of the Albany Post Road.1 By that time the importance of the road—once the only major route for stage coaches running from New York City to Albany—had long since been eclipsed by steam boats and trains. Along the way he visits Tarrytown and recounts the history of the Dutch Church and Old Mill in Sleepy Hollow and the capture of Major André. When he gets to Croton he makes “a call” at Van Cortlandt Manor—“one of the pleasantest incidents of my journey”—and enjoys the hospitality of James Stevenson Van Cortlandt, his widowed mother and sister. 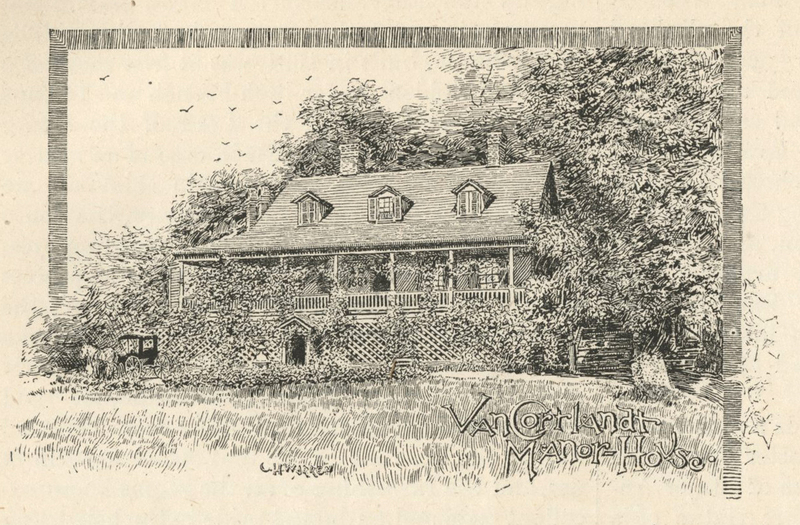 Van Cortlandt Manor in 1890. 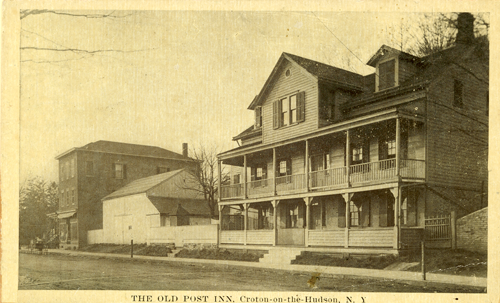 The story he tells about the history of the Van Cortlandt family and the manor house is unremarkable, but as he continues on his journey he gives us a rare treat—a vivid description of the “quiet hamlet” of Croton in 1890 and the Old Post Inn, once located on today’s Grand Street, across from the Holy Name of Mary Church. 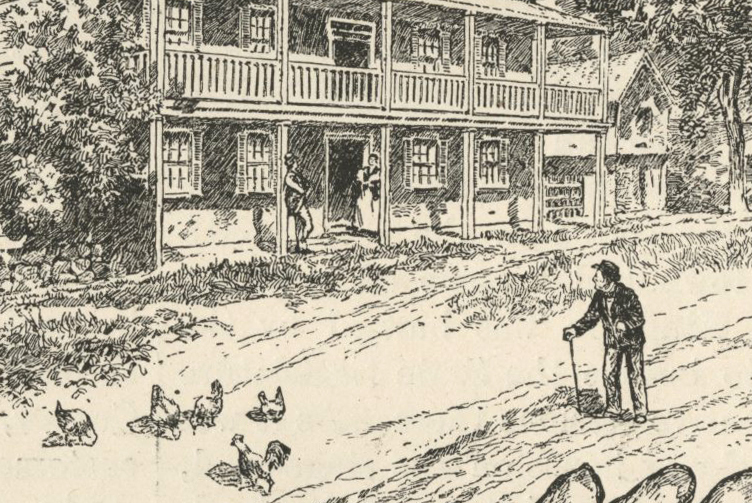 The Old Post Road Inn in 1890. 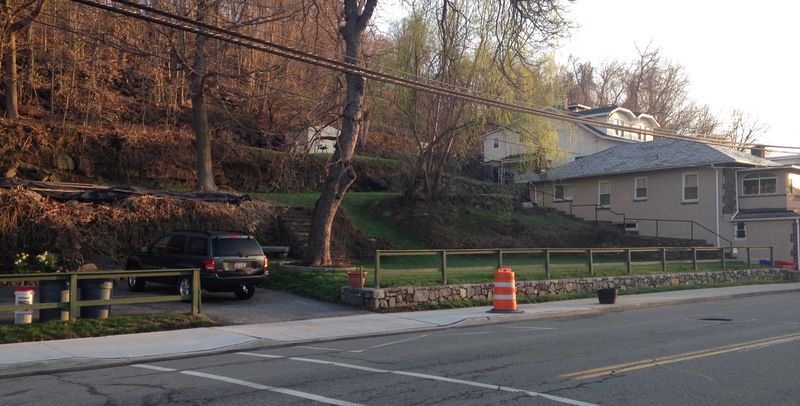 What’s particularly interesting about his account is the depiction of the upper village as a byway, with grass growing in the road because a new street had “been cut through the bluff down by the river.” Seventy-seven years later all of Croton became a byway when the construction of Route 9 destroyed the village’s waterfront along the west side of Riverside Avenue. Let’s listen to C. Hills Warren as he takes us back to Croton in 1890. “Croton is a quiet hamlet, whose inhabitants have been for several generations industriously digging up the fields and pressing the soil into bricks, until it looks as though the place had stood a siege, and the enemy had exploded mines all round its borders. Here I found the first post-house. It is a two-story wooden structure, somewhat the worse for wear, with a double piazza running the whole length of the front, in the style popular with builders of country taverns in the last century. A wide hall from the front door to the kitchen in the rear, and doors open from it to the sitting-room on right and the bar-room opposite. A postcard of the Old Post Road Inn before it burned down. The brick building on the left is still there—the Cornelia Cotton Gallery is on the bottom floor. Location of the Old Post Inn today.